Practicing scales is a must for any instrumentalist. The benefits of this practice are numerous. It helps develop both improvisation and songwriting skills. That’s the main reason why I have been publishing many guitar scales charts on this Website. 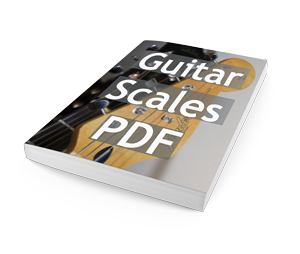 In order to make it more convenient, I created a complete Guitar Scales PDF. I truly hope you enjoy it! Use a metronome to develop a better sense of rhythm. It also helps setting concrete goals making the learning process faster. You should start off slow and increase speed. 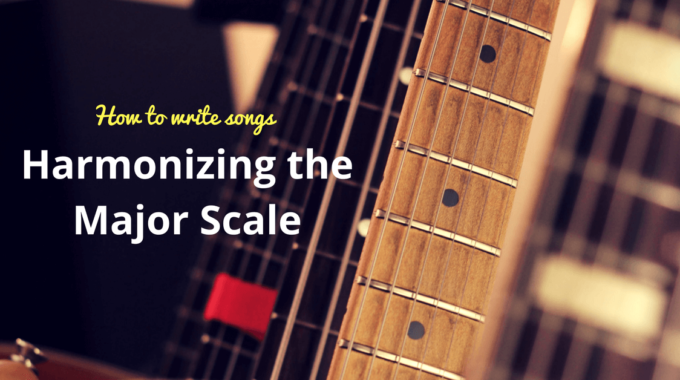 Apply these scales over real music and different backing tracks. This helps retain the scales faster and gives it a musical context. Link the different patterns together. Sticking to only one pattern will keep you confined in a “box” and when improvising it limits your creative freedom. After all, you want to know your scales but you need to be able to incorporate them in your music without sounding like you are simply playing scales. Use sequencing patterns to make it more musically appealing and easier to memorize. A good way to start is to play two notes and go back one note every time. In doing so you will find that each pattern has some spots where the link between notes is a bit more difficult. I find that using sequencing is very rewarding and will kickstart your playing if you haven’t been using them yet. How Much Should I Practice Scales? When learning scales you will need to put aside some time to really get them at the tip of your fingers. I find that frequency is more important than duration: meaning that you better play 4 times 15 minutes a day than 1 hour straight. In short, try to stick to 15 minutes a day every day doing only scales (no noodling in between). Let me know what you think or if you have any tips for learning scales. 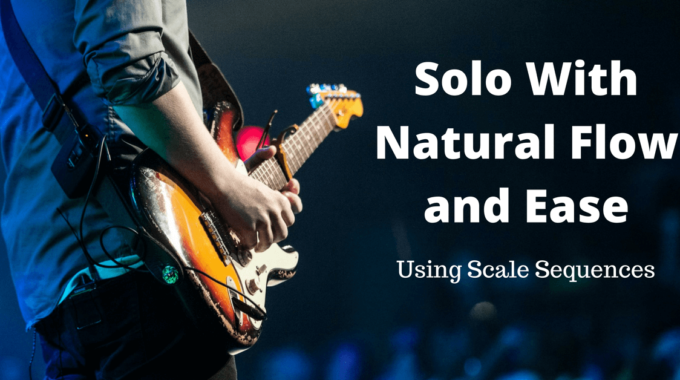 You’ll find the natural minor and harmonic minor scales in this guide. Those are very popular in the flamenco genre. previous post: How to Play the Minor Blues Scale on Guitar? 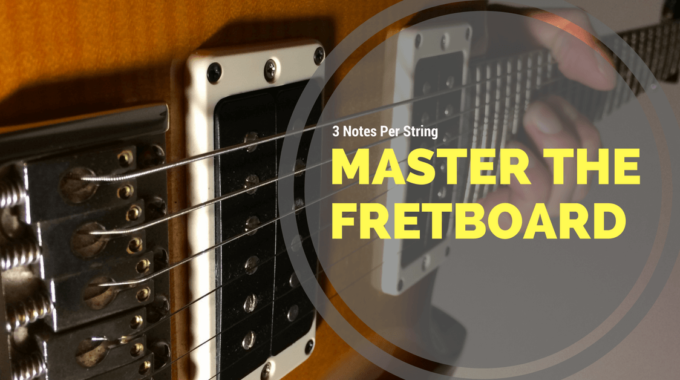 next post: String Skipping: What You Need to Know and How to Add it to Your Own Guitar Playing.